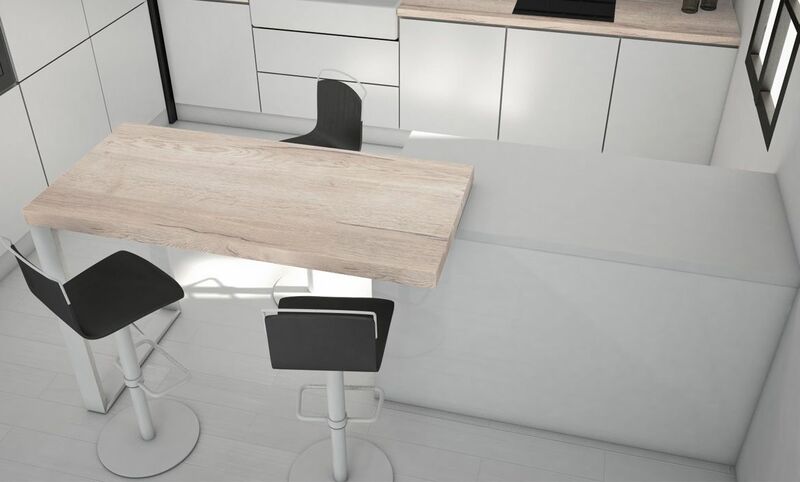 Free is a bar, which fits with the kitchen worktop and it moves over it just as much frontal as lateral, in order to optimize the space of use. 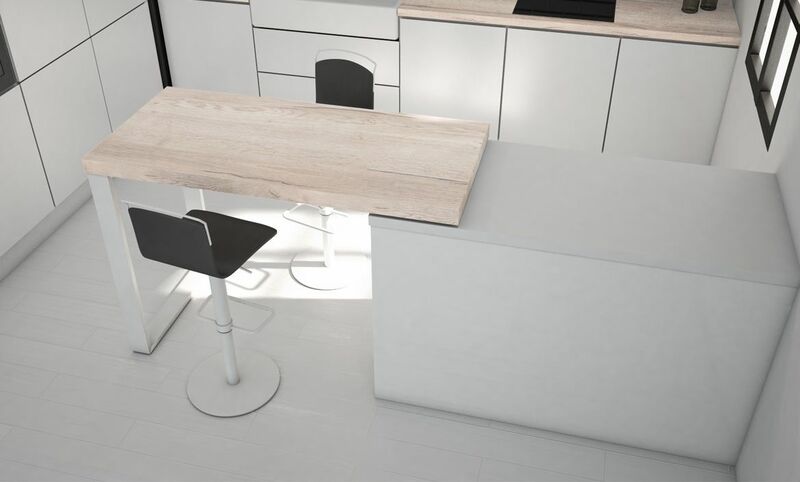 It is an ideal solution to those kitchens, which do not have enough space to furnish a traditional table with their chairs, and it is also an aesthetically modern option, which allows eating in a high position or with bar stools. 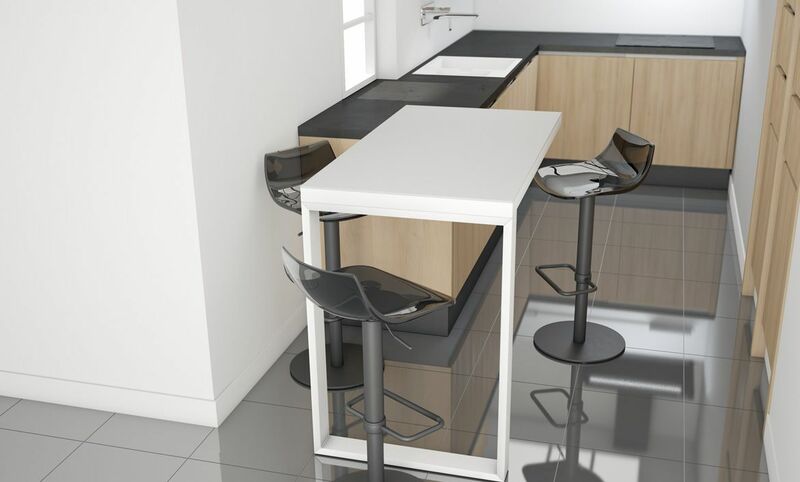 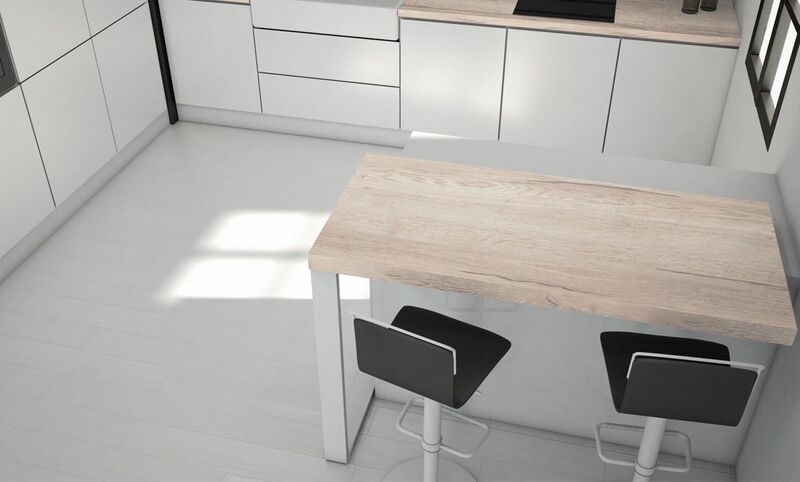 Due to the possibility to manufacture it custom - made (in addition to offering many standard measurements), it can adapt to any furniture distribution, even integrating it as an auxiliary bar in a kitchen island. 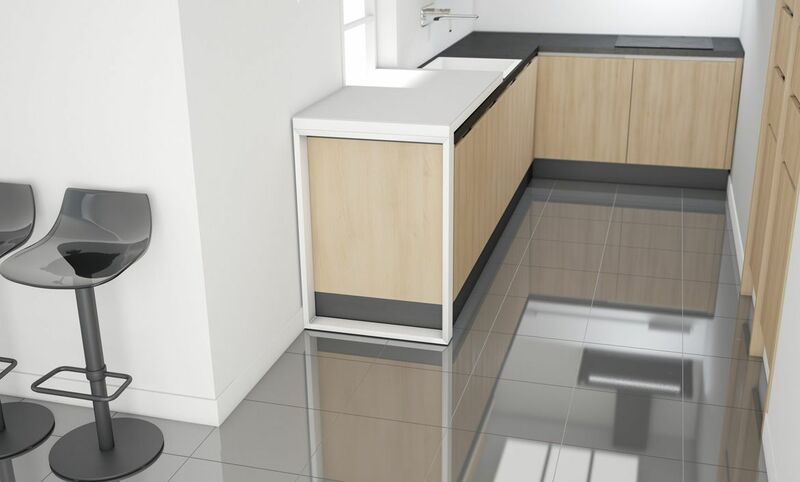 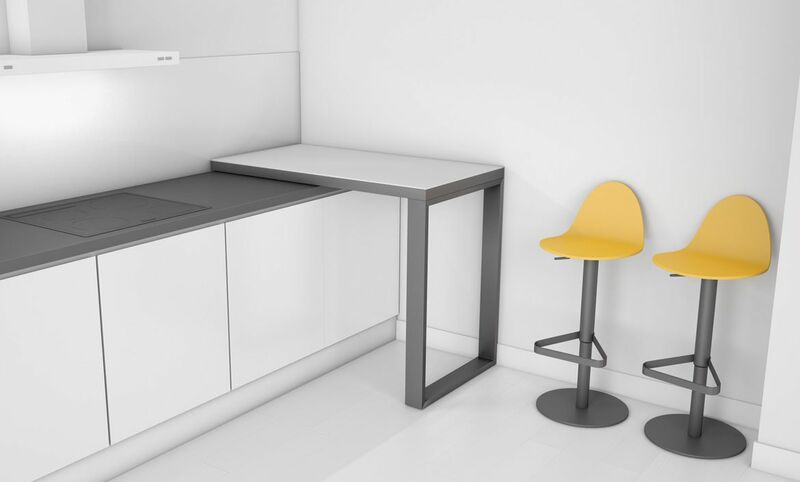 If it is decided to fit it next to the wall, the lateral movement allows gain a seat for an additional guest, and the frontal movement allows an easy and comfortable access to the kitchen drawers. 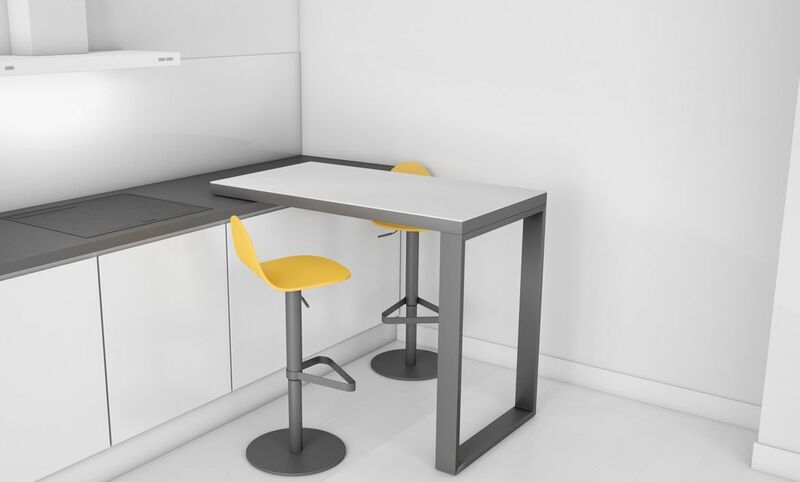 It always incorporates wheels in the leg, so that the movement is smooth, and also a mechanism, which offers the possibility to block it, so that it does not move, while you are using it to eat. 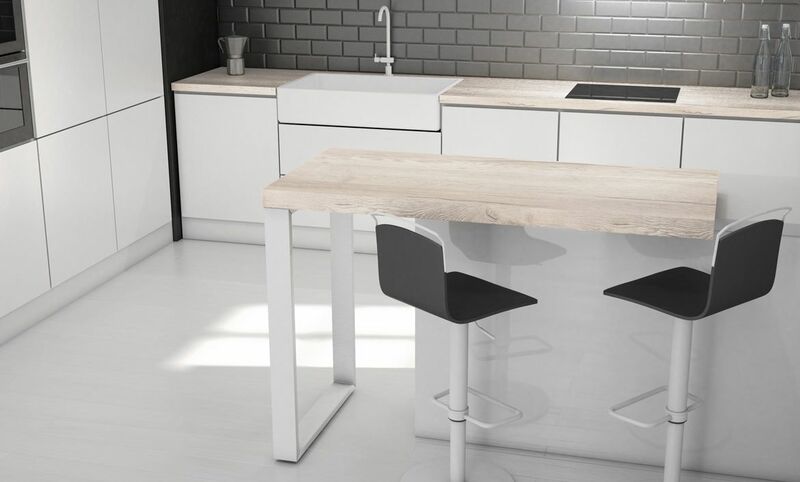 It is manufactured in lots of finishes and in different materials, and it can be a great option to give the kitchen furniture a facelift without the need of reforms, with the consequent economic saving. 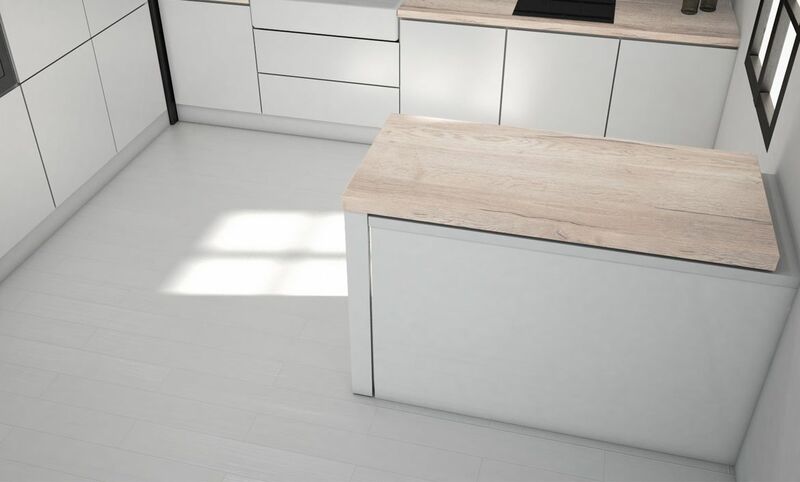 The fixing to the worktop can be drilled or for those who want to avoid this process, only with a double - sided - tape highly adhesive.